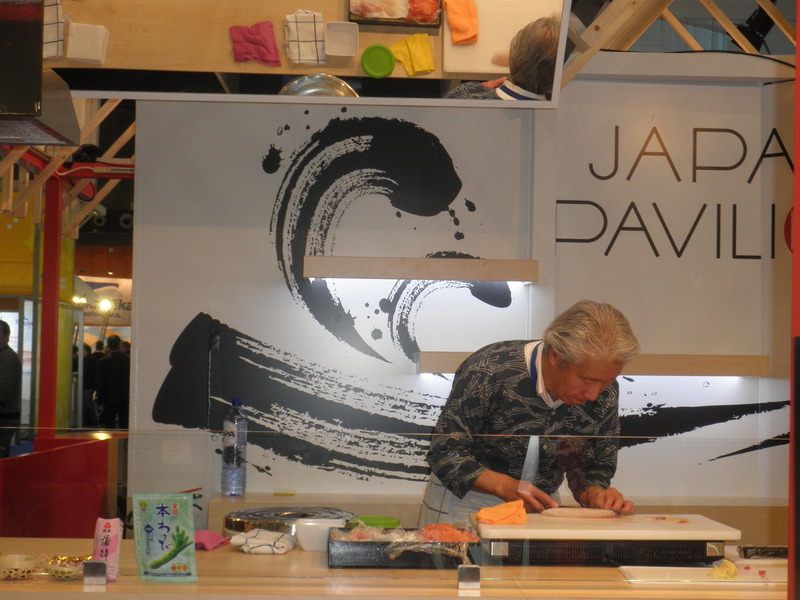 From Tuesday April 21st to Thursday April 23rd 2015, JETRO Brussels hosted a “Japan Pavilion” at the “Seafood Expo Global” that took place at the Brussels Expo exhibition site in Brussels, Belgium, . 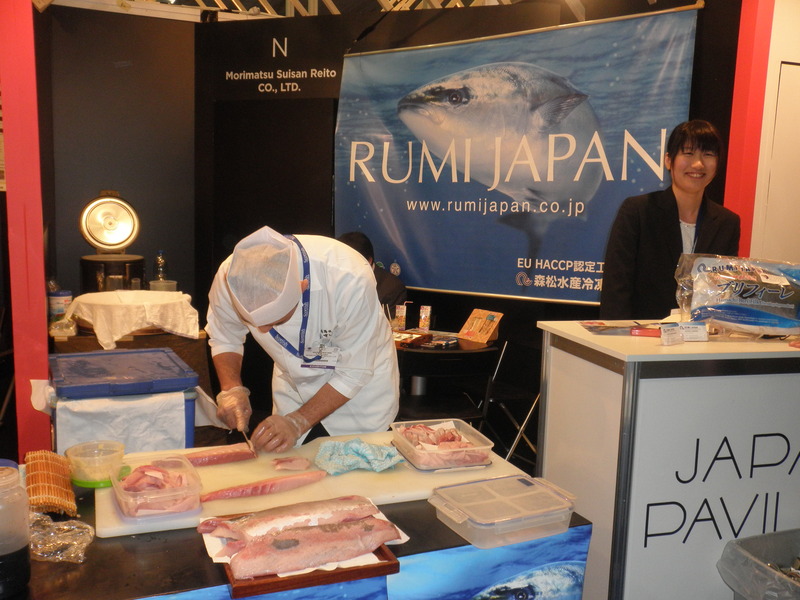 The Pavilion provided an unique opportunity to experience high quality Japanese seafood products brought by thirteen food and product vendors. Amongst the items displayed: yellowtail (or “Hamachi”), red sea bream (or “Madai”), scallop, Kelp/Sea grass/Konbu, farmed bluefin tuna (or “Hime Maguro”) as well as “sake”, a variety of seasoning products and “wasabi”! We (GBMC) were there and attended to some “Sushi chef demos” (as can be seen on the pictures)!! SEAFOOD EXPO: The World’s Largest Seafood Event ! Seafood Expo Global/Seafood Processing Global is the world’s largest seafood trade event, featuring more than 1,700 exhibiting companies from over 70 countries. Exhibitors supply all types of fish, seafood and seafood-related products or services. Attendees travel from 150 countries to do business at the three-day event. More than 25,800 buyers, suppliers, media and other seafood professionals attended the fair in 2014. And more… all in three days! This entry was posted on Sunday, May 3rd, 2015 at 09:00	and tagged with bluefin tuna, Brussels Expo, GBMC, Hamachi, Japan Pavilion, Japanese seafood, JETRO Brussels, Madai, red sea bream, Seafood Expo, Wasabi, yellowtail and posted in Business, Japan. You can follow any responses to this entry through the RSS 2.0 feed. « Giving B2B Customers What They Want ! !